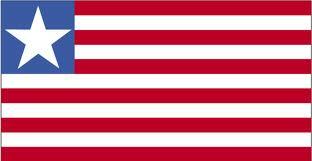 Liberia is a country in West Africa. It is bordered by Sierra Leone on the west, Guinea on the north and Côte d'Ivoire on the east. Liberia's coastline is composed of mostly mangrove forests while the more sparsely populated inland consists of forests that open to a plateau of drier grasslands. The country possesses 40% of the remaining Upper Guinean rainforest. Liberia covers an area of 111,369 km2 (43,000 sq mi) and is home to about 3.7 million people. English is the official language, while over 30 indigenous languages are spoken within the country. Along with Ethiopia, Liberia is one of two modern countries in Sub-Saharan Africa without roots in the European colonization of Africa. Beginning in 1820, the region was colonized by free blacks from the United States; most of them had been formerly enslaved. With the help of the American Colonization Society, a private organization that believed ex-slaves would have greater freedom and equality in Africa, these immigrants from the U.S. established a new country. African captives freed from slave ships were also sent there instead of being repatriated to their countries of origin. In 1847, these colonists founded the Republic of Liberia, establishing a government modeled on that of the United States and naming the capital city Monrovia after James Monroe, the fifth president of the United States and a prominent supporter of the colonization. The colonists, known as Americo-Liberians, led the political and economic sectors of the country. The country began to modernize in the 1940s following investment by the United States during World War II and economic liberalization under President William Tubman. 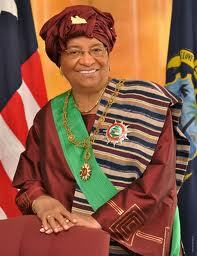 Liberia was a founding member of the United Nations and the Organization of African Unity. A military coup overthrew the Americo-Liberian leadership in 1980, marking the beginning of political and economic instability and two successive civil wars that left approximately 250,000 people dead and devastated the country's economy. A 2003 peace deal led to democratic elections in 2005. Today, Liberia is recovering from the lingering effects of the civil war and related economic dislocation, with about 85% of the population living below the international poverty line. On January 16, 2006, Ellen Johnson Sirleaf was sworn in as the twenty-fourth and current president, making her the first elected female president in Africa.